Mercenary. Greedy. Financially-motivated. When you see a footballer who has played for twenty-five different clubs, you might be forgiven for thinking this. The game has no shortage of players who consider football a job, a way to pay the mortgage. But in the words of Lutz Pfannenstiel, the globetrotting German goalkeeper: “It’s nice to be rich. But it’s better to be wealthy in the head, wealthy in experience”. Pfannenstiel, who currently works for Bundesliga club TSG 1899 Hoffenheim as a scout, shaped his career with this mantra. During his twenty-year playing career, he played for twenty-five clubs in twelve different countries, and is the first—and only—player to have played in all six FIFA confederations. His career started off in Germany, where he played for the under-17 national team and was, by his own admission, considered “one of the best goalkeeper talents in Germany”. This attracted the attention of Bayern Munich, who wanted him to play for their second team. Despite the prospect of being promoted to the first team, and if he could live up to his reputation, to first choice, Pfannenstiel opted to move abroad to Malaysia. To many, the decision was baffling, but he had seen plenty of fellow goalkeepers wallowing away on the benches of top clubs after promising youth careers and didn’t want to end up like them. The plan was originally to spend time imposing a good goalkeeping work ethic on himself, to learn what it meant to be a professional footballer, and to continue his development with regular first-team football. After that, he would return to Europe—preferably Germany or England—and become one of the world’s greatest. The plan was going steadily. 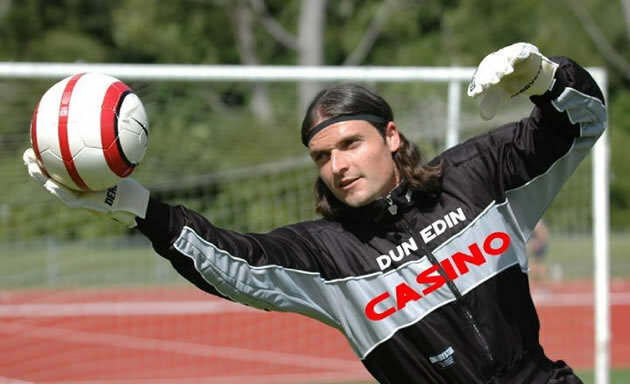 He was making regular starts, and eventually was scouted by Wimbledon, who at the time played in the Premiership. He didn’t end up making the first team, and moved on to Nottingham Forest, who were also doing well in the top flight. But after two consecutive seasons of not being able to break into the squad at Premier League clubs, Pfannenstiel came to realise that perhaps he was not yet ready for English football. He questioned whether he was good enough for Germany and France too, and thought that he would end up with more time on the bench than between the sticks if he continued signing with big clubs. The plan was revised. Pfannenstiel realised that if he was to become a regular starter, he would have to aim lower. And so a globetrotter was born. In any other profession, one would question someone whose CV contained so many employers, but Pfannenstiel had been unlucky. Bankruptcies, coach firings and finding himself surplus to requirement all forced moves. His desire to play constant first-team football also meant that he became restless during the off-season in countries where the league had long breaks for harsh summers or treacherous winters. This meant moving roughly every seven or eight months. Pfannenstiel has accumulated some interesting stories to tell over the years. Probably the most interesting, and indeed most harrowing, is about his time in Singapore. He was accused of conspiring with bookmakers to deliberately win games for his club Geylang United, and eventually sent to prison. Not only is he the first man to play on six continents, but probably also the first man to be sent to prison for being too good at football. In 2000 he was sentenced to five months, although thanks to intervention from the German embassy he was released early for good behaviour. During his imprisonment, he has described how he was “very close to madness” and “had suicidal thoughts”. In a 2001 interview, he told of the dire living conditions, the routine assaults he was subjected to by other prisoners—having his nose broken twice—as well as corrupt law enforcement officials. He also told of how he was nearly raped. 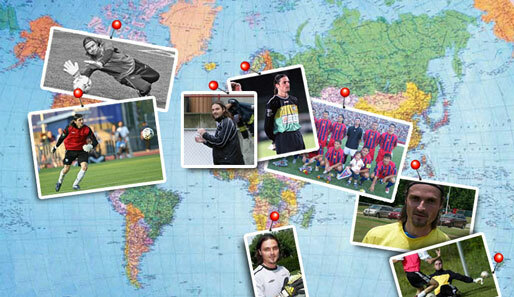 After being released from prison in April 2001, Pfannenstiel took a job with Bradford Park Avenue to rehabilitate. He’d lost 16kg and much of his strength despite doing press-ups daily. He admitted he had nearly turned into the type of animal who was brutalising him in prison, and it took him six months to settle down again properly. Football, though, he claims, is what helped him get his life back on track. 2001 was also the year he anchored himself to a club for the longest stint. He moved to Dunedin Technical in New Zealand, where he remained for five years. During his time in New Zealand, he’s said to have stolen a penguin and kept it in his bath (before returning it to its proper home), and tracked down burglars who stole 2,500 euros, a Playstation, sunglasses and his beloved goalkeeper jersey from his home. An acquaintance had seen a man wearing his jersey, and Pfannenstiel liberated his jersey and the rest of his property personally from the thieves. Since the season in New Zealand was only six months long, and because he became characteristically restless during the off-season, he was loaned to clubs around the world. One of these clubs was English Conference side Bradford Park Avenue, where, one rainy afternoon on Boxing Day in 2002, Lutz Pfannenstiel died. In fact, he died three times. Or at least he stopped breathing and was clinically dead three times. He was injured making a save as a forward’s knee thumped him in the chest. He had originally got up to berate the referee for not handing him a free kick, but fell to the ground as his heart stopped. Pfannenstiel’s seven-month pregnant wife and his mother-in-law had rushed onto the pitch in concern, and thankfully, the Bradford Park Avenue physio was on hand to revive him three times, saving his life. His bad experiences weren’t limited to prison and death. In Thailand and Sri Lanka he played games in stadiums where cockroaches were infesting the changing rooms. He played in stadiums where the toilets hadn’t been cleaned since the 50s, and in Armenia he played in stadiums where the weather was so cold that the pipes had frozen and there was no running water or working toilets. Realising he was close to his record of playing on all continents, he craftily engineered a move to Brazilian side Clube Atlético Hermann Aichinger, with whom he fulfilled his dream of being able to play in the legendary Estádio do Maracanã in Rio de Janeiro. The final leg of his playing journey came in 2009, when he joined German-owned Namibian side Ramblers F.C, where he served as goalkeeper, goalkeeping coach, and technical director. By the time he retired in 2011 at the age of 36, he had played in Germany, England, the United States, Finland, Singapore, New Zealand, Norway, Canada, Albania, Brazil and Namibia. Pfannenstiel has also held a number of coaching roles, many of them while playing. He coached FC Bentonit Ijevan in Albania where he was also a player, served as the goalkeeping coach for the Cuban national side in 2008-9, was goalkeeping coach at Manglerud Star in Norway while he played for them and became the goalkeeping coach of the Namibian national team during his time at Ramblers before taking up his scouting position at Hoffenheim. The journey has not stopped there. 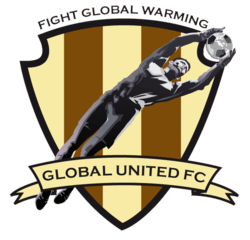 In 2009 he founded Global United F.C., an international non-profit football club whose aims are to use football to spread the message about climate change and sustainable alternatives. Pfannenstiel drew on his experience around the world for inspiration when creating the organisation, and has visited many of the places visibly affected by climate change. Global United F.C. counts among its players a crop of retired professionals from around the world, including legends like Cafu, Chilavert, John Barnes and Henrik Larsson. This entry was posted in Player profiles and tagged bradford park avenue, bundesliga, club atletico hermann aichinger, dunedin technical, fifa, germany, geylang united, global united fc, hoffenheim, lutz pfannenstiel, new zealand, nottingham forest, ramblers fc, wimbledon by David Dodds. Bookmark the permalink.